On Tuesday, May 12, Jeffrey Palmer spoke on Bisnow’s Panel on Creative Office in Los Angeles. Representatives of Bixby Land Company, Tishman, and Clarion Partners joined Jeff on the panel. These developers who joined Jeff on the panel not only build Creative Office buildings but also build and redevelop large scale creative office campuses. Creative office is no longer the purview of just the small boutique developer. Creative office is now mainstream. The moderator for the event, Pete Roth of Allen Matkins, agreed with this sentiment and made the argument that creative office has gone global. Pete Roth posed the question to the panel about opportunities for others to take advantage of the creative synergy that now exists in Playa Vista after many major creative company behemoths have moved there like Google, Yahoo, Sony Playstation, Verizon, and 72 and Sunny. The large developers argued that the opportunities have now passed because the large tracts of land in Playa Vista are gone. However, Jeffrey Palmer disagreed. Jeff now predicts a wave of smaller developers coming to Playa Vista to redevelop the retail and industrial properties in and around the area. Jeff also distinguishes creative offices, which describe an aesthetic, from collaborative team based offices, which describe office layouts and furniture. Clarion Partners hired Gensler to redesign and re-brand a conventional 300,000 square foot Playa Vista office building into a creative office campus. Gensler successful accomplished this feat by adding an exterior stairway, painted designs, and roll up doors on the ground floor. The most successful feature of all included using the grounds to create an interesting “boutique hotel rooftop” like outdoor space for creative workers with fire pits, work bars, and conversational seating. Tishman is building a 300,000 square foot creative office park in Playa Vista from the ground up. 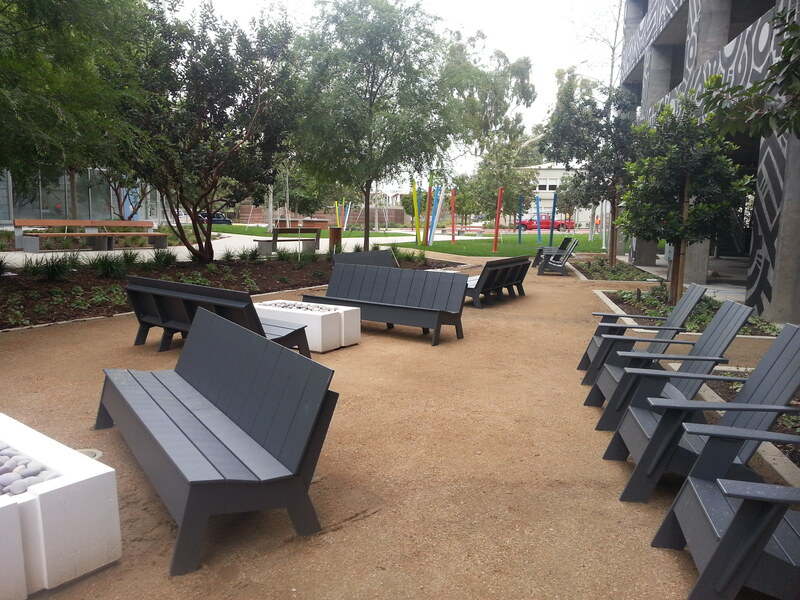 The campus will include over 15 different outdoor furnished spaces. The new buildings will resemble modern versions of a bow truss warehouse. 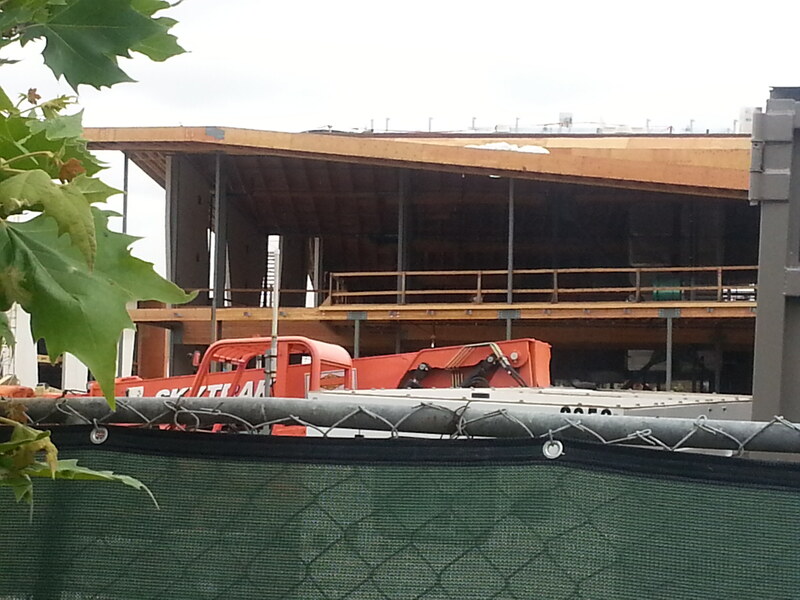 Under Construction Playa Vista Office Building designed to resemble a bow truss warehouse. You can read more about the conference below.